My cell phone number is long distance from where I now live. Having a local number makes it easier for sources with land lines to call me, reiterates that I’m local and beats carrying around two phones or changing the number I’ve had for close to 10 years. Having a separate number to give out to sources besides my personal number makes me feel like I have more control over my personal information. And I had heard that Google Voice archives calls and voice mail, which gives me a second record that is accessible via the web — a back-up in case my cell phone ever goes down. And then I read this post by Meranda Watling on her Meranda Writes blog. And I became even more intrigued. It can not only forward calls to cell phones but work and home phones as well. Google Voice can also send calls to several phones at once so that no matter where I am, I’ll get it. The first time a person calls, if they are not in my address book, Google Voice asks them to state their name, and then when I answer, it tells me who is calling. This helps get around blocked and unknown numbers. Google Voice sends an email and text message, if you set it up that way, for any missed calls and voice mails. It also transcribes messages as best it can, which is sometimes laughable in its inaccuracy. But you get the gist of a message and can then open the .mp3 file via email or on Google Voice’s smart phone app and listen to it. I’ve also set it up to send me texts and emails of voice mails left by people calling me via my private cell number. I haven’t had the chance to record a call yet but am looking forward to trying it out. This Poynter article discusses the record-a-call function at length, but beware of lost recordings. SustainableJournalism.org has an informative post on why journalists should not rely on this function. You can also create an embeddable widget to put on a site or blog so that readers can call you without you giving out your number. As the Poynter article points out, this could be helpful on election night, for example, for readers wanting to report election fraud. I wish I would have been clever enough to pick a number that spells something out, like 509-NEWS, but alas, I was not. I chose a number that looked easy to memorize … though I couldn’t tell you want it is if my life depended on it at the moment. I’ll have to give it to more people to help me commit it to memory. 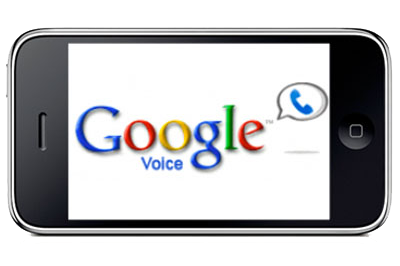 Have you used Google Voice? If so, what do you think. One feature I really like is how you can make separate voicemail messages for different people based on your Google contact arrangement. For example if you sort people into “Friends” and others into “Coworkers” then you can make personalized voicemail greetings for each. In the former case a relaxed message and in the latter one a more professional greeting. You could theoretically (and if you had a lot of time) leave personalized phone greetings for each and every contact you have! I didn’t realize that. Very cool!